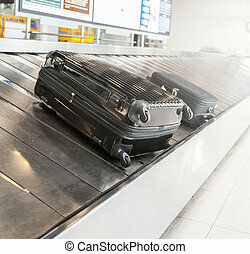 Baggage sorting. 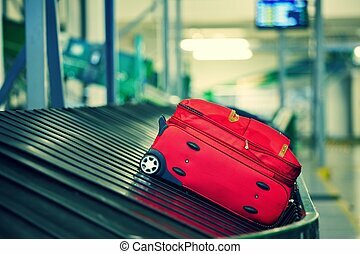 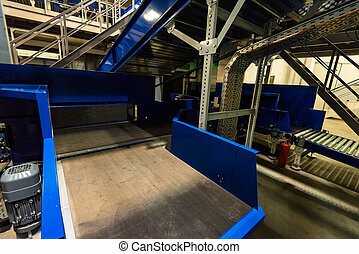 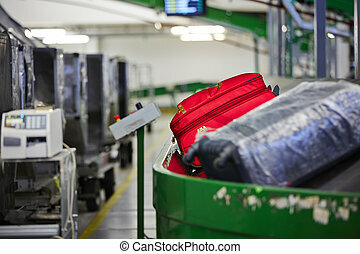 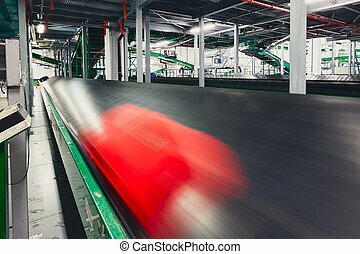 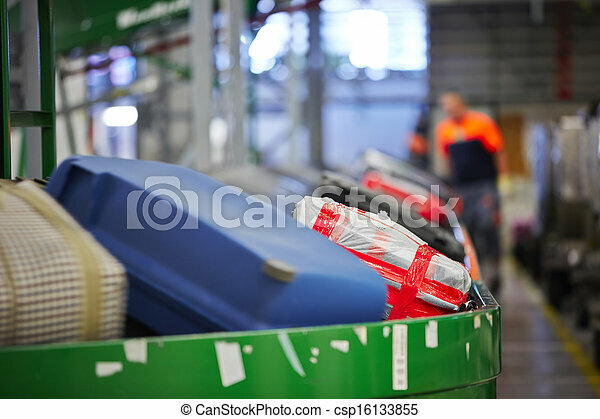 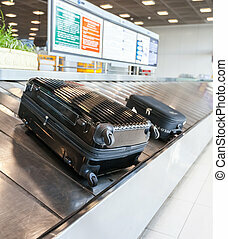 Baggage on conveyor belt at the airport - selective focus. 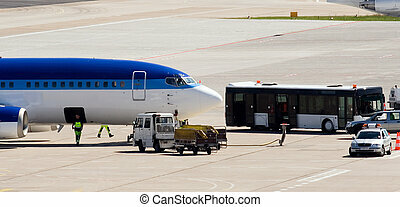 Arrival and dispatching VIP airplane of the estonia airline Estonian. 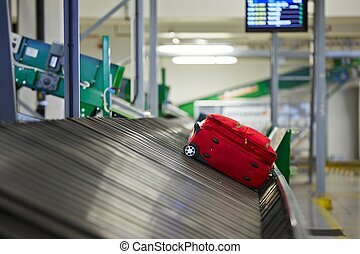 Luggage sorting. 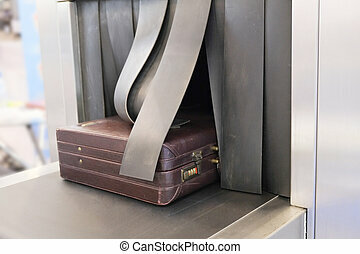 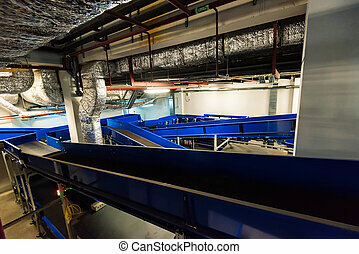 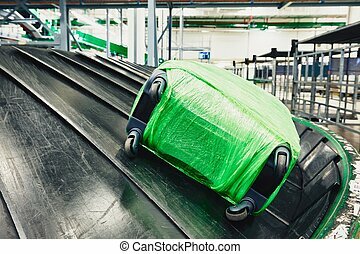 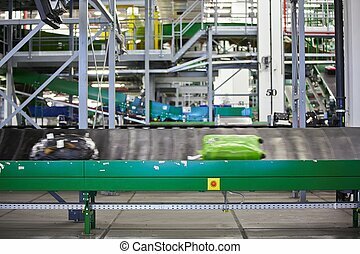 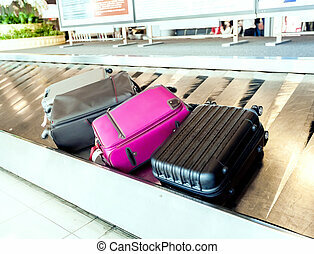 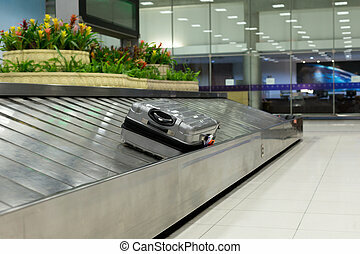 Baggage on conveyor belt at the airport. 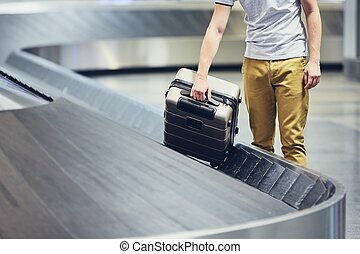 Traveler picking up suitcase from baggage claim in airport terminal. 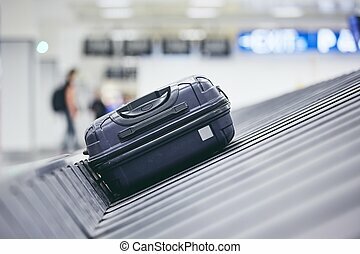 Traveling by airplane. 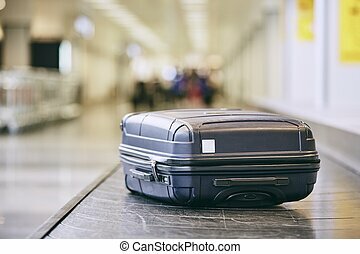 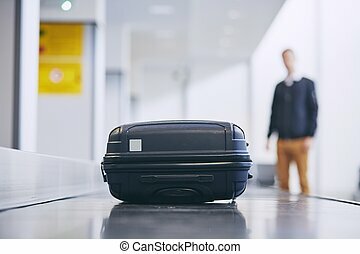 Suitcase on baggage claim in airport terminal. 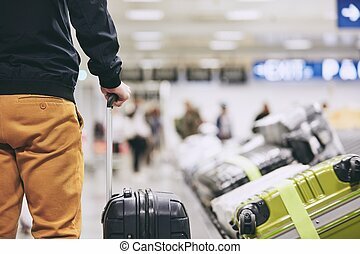 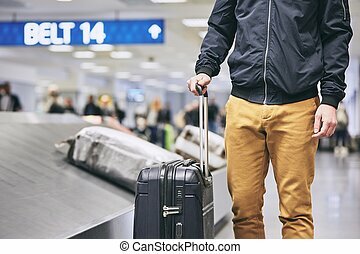 Man (traveler) picking up suitcase from baggage claim in airport terminal. 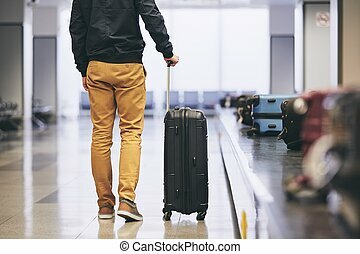 Man traveling by airplane. 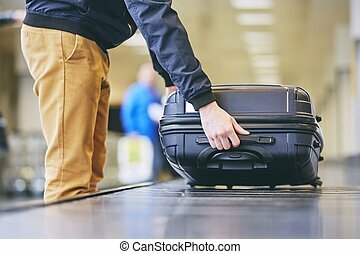 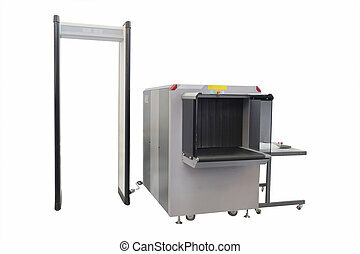 Young passenger holding his suitcase near baggage claim in airport terminal.